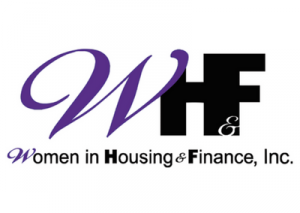 As a grantee of the Women in Housing and Finance Foundation (WHFF), GSH has been invited to join them in a new partnership focused on financial education for our residents. Called the “Changepurse” Program, it will link financial coaches and mentors together with our residents for individualized financial counseling. The goal is to change the “spend it today” habits of many of our households. Our households have too many expenses that depend on their limited paychecks. Rent is only one of their expenses; and may in fact not be the largest monthly expense for them. (According to County data, childcare expenses can run as high as $300 to $350 per week per child — or in equivalent terms, a full month’s rent or more for one child). The “Changepurse” program includes giving each participant a fixed amount of savings at the start of the program. The money is theirs to use as they see fit. But at the end of the program, they must have the same amount of savings in their accounts. In other words, it is about changing one’s horizon for spending that money. It is treating money as a store of value, a financial cushion, and getting away from an impulsive urge to spend it. We look forward to implementing the “Changepurse” program. It should have large returns for our residents and GSH.